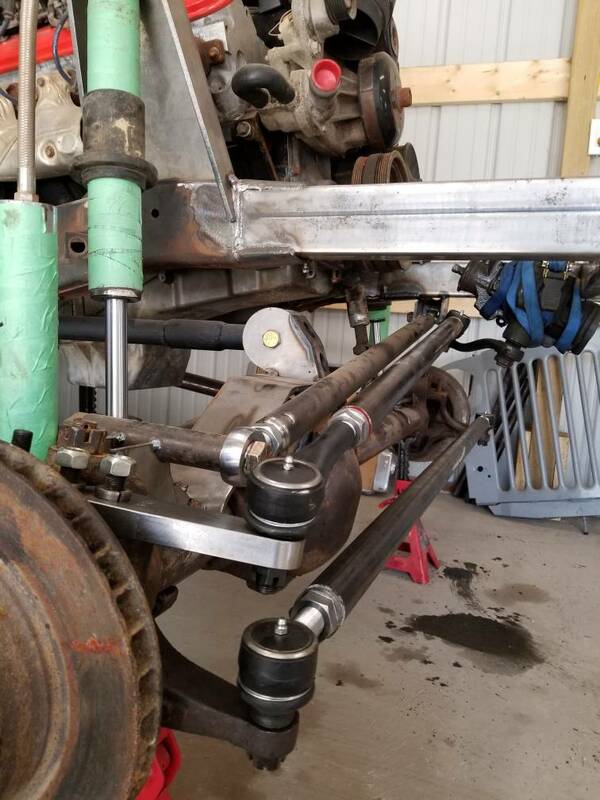 I had an idea over the weeked...a full float high pinion dana 44 rear axle. The Ford 9" that I thought I might use in this build is now getting repurposed for use in my wrangler, and it just hit me that I potentially have almost everything to make a rear hp44 minus axle shafts. My concern is strength. I will use 4.10 gears and the way I understand it this ratio is one of the strongest. Next concern would be locking hubs/drive flanges, the axle would start off with a welded diff, probably a Yukon grizzly or equivalent down the road. This truck will not see bigger than 35" tires and the motor will make an estimated 400 hp and be pushed through a built 4l60e. I don't think a HP44 would last long in the rear end. I think the R&P would be the weak link. I'm going to disagree with you but I will hear you out and I will be open to others opinions as well. I was for sure planning on a bushing to isolate the tank from the mount, but unless convinced otherwise I do not agree with opening the hole up. 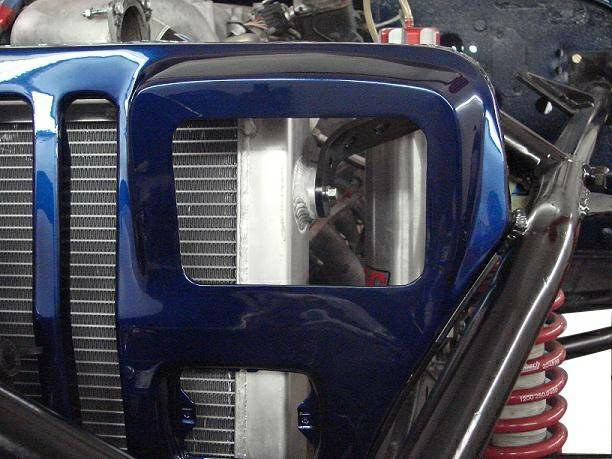 I get that the frame flexes but if I have the radiator mounted only by the tanks, won't the radiator core absorb frame flex? I could be way off but that is my train of thought. I made these pucks but wide open design sells basically the same thing and it looks to me like they mount them to there frames the same way I did, it actually looks like they don't even use a bushing at all. Their mount is a completely different application though. Theirs is mounted to a single bar in a tube chassis. There is less flex and deflection in a heavily braced tube chassis to begin with, and attaching both sides to the same cross-car beam reduces that even more. Short of severe damage, their mount will see very little torsion or movement. Yours is mounted to the opposing frame rails, which get drastically more twist than their setup. Plus theirs basically just has locating straps hanging the radiator, and probably a cradle at the bottom. They're locating it more than actually mounting it. Yours has structurally braced brackets locking it to flexible frame rails. The way you have yours mounted, anytime the frame flexes/twists it will be torqueing those bolts up and down, putting a bending moment on the bolts and into the pucks. Over time it will fatigue crack the brittle HAZ areas on the radiator around the welded on pucks. Using bushings with shanks to pass through oversized holes in the brackets(think OEM Jeep body mounts) will allow the bushings to take up most of the bending moment and keep the stress off your radiator tanks. If you can't find bushings like that you could even use standard rubber pucks to sandwich the brackets and some thick wall hose to sleeve between the bolt and oversized hole. Last edited by bbaXJ; April 2nd, 2018 at 01:15 PM. I could probably buy into the thick wall rubber tube into an oversized hole idea. I still believe though that any flex the radiator sees will be absorbed by the core. I beat the snot out of the pucks I welded on to my practice radiator with a hammer and all I saw was the puck deforming and no cracks. Also keep in mind that the frame on this thing is far from done. 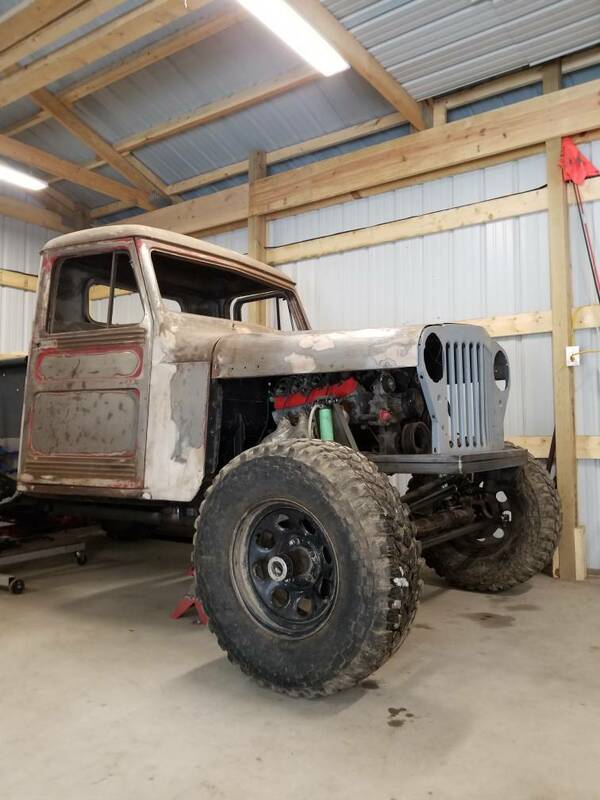 It will have a grille hoop welded directly to the frame that will tie all the way back to the cab where there will be an A and B pillar tied into the frame. Shock mounts will probably be tied together as well yet too. Aluminum hard works over time and gets brittle and cracks, its not an issue you would see with a short test session. Rubber mounts are a great idea. Exactly. That's why I said it'll fatigue crack. It'll flex back and forth over and over and eventually split, it won't just snap from a single event. Looks good, but I would upgrade to a 2" ratchet. Funny you say that, I attempted to ream the pitman arm out with the steering box strapped to the frame and almost lost it to the ground haha. Yea it was just an idea because I pretty much have all the parts to make it happen right now including gears to match the front. I like it, looks real nice! Yea I like it too. Yesterday was the first time I realized this was a full width dana 44. For some reason I thought it was only 65" wms to wms being only 5 lug but it is actually 67"
I agree. I think 33s would "fit".